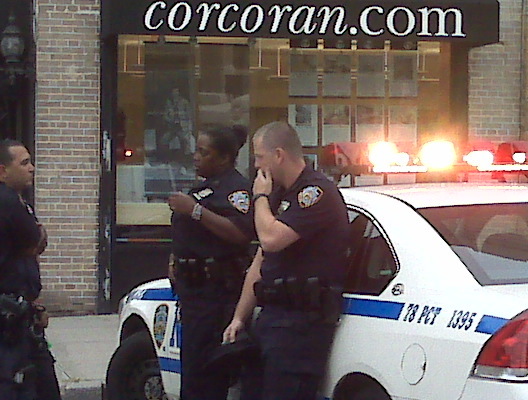 Police get ready to leave after it was determined that the corner of Carroll and 7th Avenue was safe for pedestrians. Later, at around 4PM, the police received a call of a suspicious package on the corner of Carroll and 7th Ave. Several patrol cars arrived and blocked traffic for approximately 40 minutes until it was determined that the black bag left on the corner posed no threat. Neither NBC nor any of the Muppets could be reached for comment.